Matt used a Venn Diagram. Some people might say "so what?" It may not seem like that big of a deal. 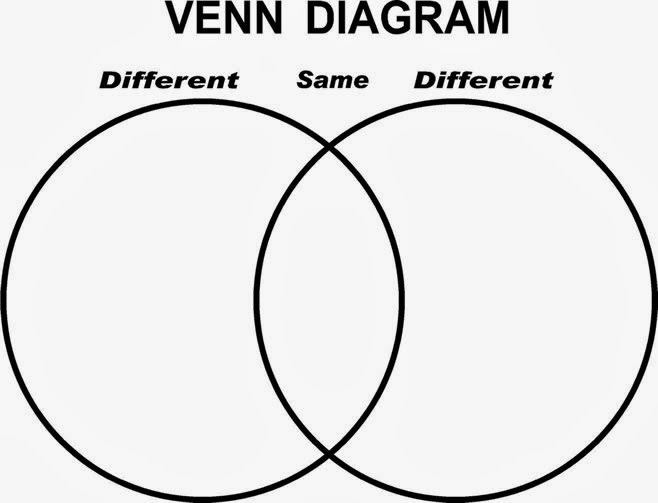 After all, almost any sixth grader can use a Venn Diagram. They probably learned that in third or fourth grade. So what's the big deal? We spent last week in Reading Workshop studying the lyrics in the song Monster. This song focuses on the struggle to deal with the demons within and coming to grips with yourself to be successful. This week we are looking at Let it Go from the movie Frozen. Students are going to compare the two, their message, theme, and tone. What impressed me about Matt's action was how he thought about the assignment and picked a tool that would make him more successful. Knowing how to use a tool is important, but knowing when and why is much more important. The fact that Matt did this of his own accord shows me that he is working to be successful, and has the sense to use tools that will make it happen.